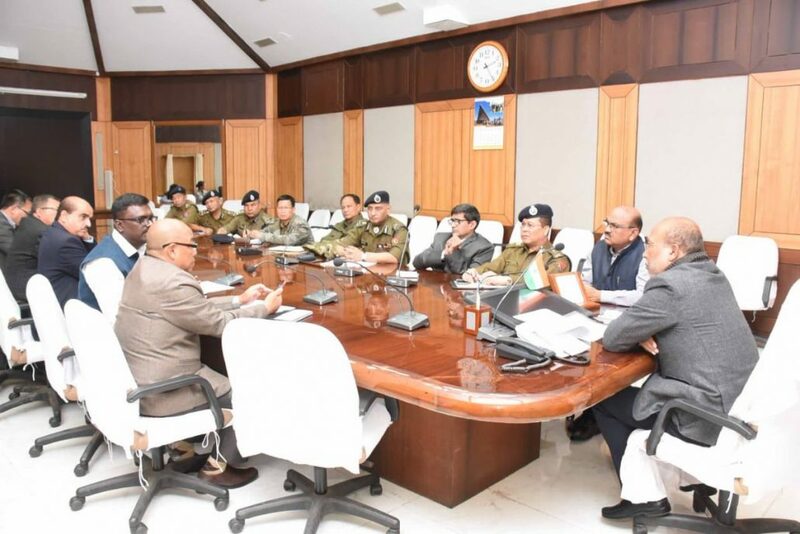 Manipur Chief Minister N Biren Singh on Monday had a high level security meeting with the forensic experts from the Wildlife Institute of India (WII), Dehradun, and officials from the State Forest Department and reviewed the situation of the prevailing mysterious killings by predators of ducks, hens and others domestic animals in the State. Notably, panic has gripped Manipur over attacks on humans, animals by unknown predators for the last two months in different places that have resulted in chaos, mass vigilance programmes and hunting of wild animals. Reports of highly intelligent animals with wings killing and eating animals are coming in from across the State forcing people to remain indoors specially at night. People are moving in groups armed with weapons in search of the unknown predators. People are blasting crackers to stop the animals from coming in residential areas. The attacks are not occurring in localized area but in the hill areas and the congested city areas. Earlier Chief Minister N Biren urged the public not to panic because experts from WII had already arrived and started investigation. He also said that CCTV cameras had been installed and traps laid to identify the mysterious predator. Meanwhile, scientists of WII who are in the State for investigation of the mysterious killings of livestock, suspected that the responsible predator would be from the families of Canidae or cats. Notably, wolves and wild dogs are not found in the State, however, wild dogs were spotted in Nagaland and so there is a possibility of them migrating to the State. The State Police Department has also been directed to track down any kind of fake information in connection with the mysterious killings of livestock.